Softpedia in collaboration with Watermark Software offers unlimited license keys for Software lovers 🙂 Today while surfing net I came across this Giveaway page and thought of sharing with you. One key costs $24.90 / €19.71. The keys provided for this giveaway promo have a lifetime availability, work for an unlimited number of PCs, and can be activated anytime. Giveaway expires on next Friday, May 16 at 15:00 UTC (8:00 a.m. PDT/PST). 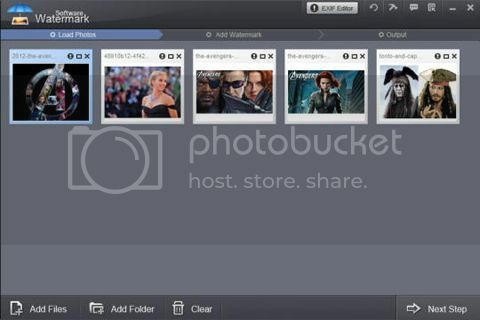 Watermark Software is a simple-to-use software application designed to add text and image watermarks to photographs in batch mode.Watermark Software lets users add text and image watermarks to their favorite photographs, customize their settings in detail, crop and resize them, and specify naming rules for the output files, among other features. Since batch processing is supported, the tool is put to best use when applying watermarks to numerous images at the same time. Why Watermark on Images is Necessary? Anyone can easily copy and use your images from Internet. Watermarking is one of the method of protecting your images online. Watermark software lets user to add digital signatures to images.